Thanks to my colleague and great friend Lord Nimakx, for sharing this post. Moraleja: Every charro comes to his skull. Gracias a mi colega y gran amigo Lord Nimakx, por compartir este post. Moraleja: A todo charro le llega su calaca. 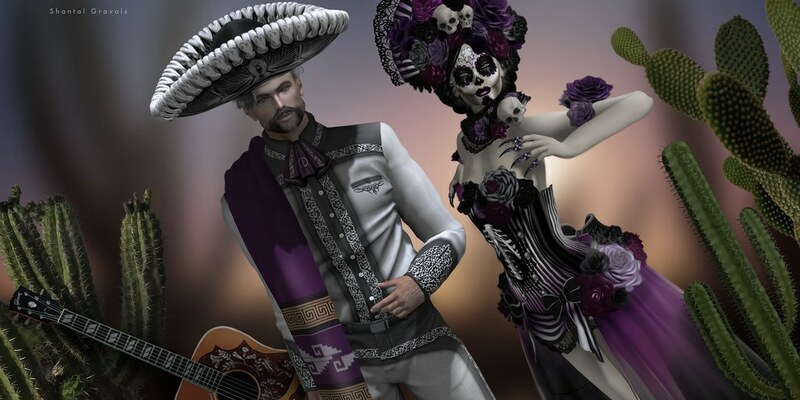 Día de los Muertos – Mexican Costume Fancy secondlife, women mesh dress halloween. Includes: Skin Applier (maitreya, belleza, slink, omega), hairs, boots, outfit, cloth design creation, dead flowers.